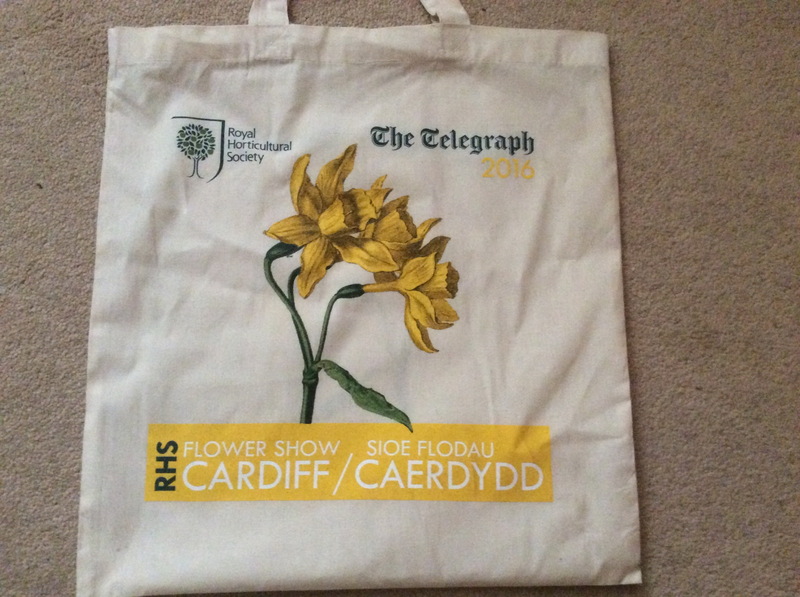 The Telegraph newspaper with free daffodil bag, when purchasing a copy of the newspaper, at RHS Cardiff Show on Saturday 15 April 2016. This entry was posted in Miscellaneous, RHS. Bookmark the permalink.